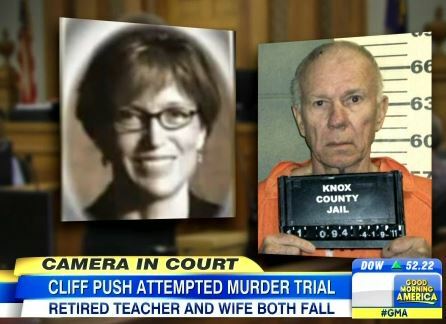 Dan appeared on Good Morning America, Wednesday, July 16th to discuss the retired school teacher who is on trial for attempted murder. 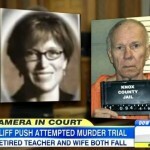 Charles Black, 71, is on trial for allegedly trying to kill his now ex-wife, Lisa Black, by hitting her on the head with a rock and pushing her off an 800-foot cliff, in April 2011. Lisa Black had recently inherited millions from her father and prosecutors are saying that money was the one of the motives. Officials say that she survived by landing on a rock ledge a few feet from the top but in a bizarre twist Charles fell moments later. If convicted, Charles Black will face up to 30 years in prison on the attempted murder charge alone. He has pleaded not guilty to all charges. Says Dan, “This is the ultimate he-said, she-said, right? She is saying that she is knocked in the head with a rock, in the back of her head, that she’s then dragged to the edge of the cliff and he then pushes her over. He is saying, that didn’t happen… now he claims he doesn’t remember exactly what happened because he too fell down the cliff later, but this is going to be a fascinating case to hear Lisa Black’s testimony and it is all going to come down to, do the jurors believe her.” Watch the full clip here.